With November underway and Halloween behind us, I hope everyone enjoyed the holiday and avoided dressing in ethnic or race-based costumes. Read on to see which fools in the media didn’t follow suit this past month. Another month passes and yet another movie joins the ranks of race-bending. This past month’s culprit was the German science fiction drama “Cloud Atlas.” The movie features a large ensemble cast, which includes Korean actress Bae Doona and Chinese actress Zhou Xun. 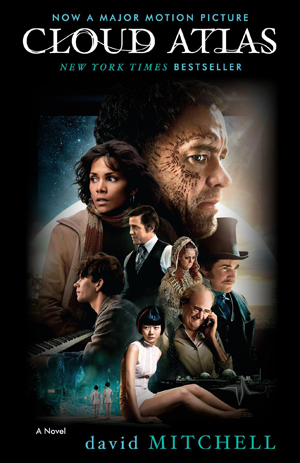 With a big budget under its belt, “Cloud Atlas” is ambitious on many levels, including impressive computer graphics, an A-list cast billing, including Halle Berry and Tom Hanks, and an intricate plot that attempts to weave the storylines of six characters in a post-apocalyptic world. One storyline is set in Neo-Seoul, which features Caucasian actors Jim Sturgess (who also played the lead in the movie 21), Hugo Weaving, and James D’Arcy, along with Black American actor, Keith David, who wears sallow-tinted makeup and eye prosthetics in order to appear more ethnically Asian. This is where race starts to get, well, cloudy. I’m sorry. This pun couldn’t be avoided! The same old questions with race-bending roles can be applied here: Why weren’t Asian actors simply cast to play these characters? Was it necessary to capitalize on the most derogatory Asian stereotypes in order to obtain character “authenticity?” Did the producers not find the use of yellowface racist on any level? There isn’t an easy answer to any of these concerns. But one possibility lies in privilege. Because “Cloud Atlas” is backed by big money and big names, it may be easy to write off cries of race-bending simply because the people behind “Cloud Atlas” can. And just to play devil’s advocate, Bae and Zhou, too, wear makeup and various facial enhancements in the film to play non-Asian characters. Zhou plays a white woman —fabricated through bronze makeup, a blonde wig, and a fake nose — while Bae plays a character titled “Mexican Woman.” Bae’s makeup aside, her character name alone reeks of racist overtones. Of course, I’m all for minority actors getting film roles, but having them play characters that are not of their own race does not seem like a proper solution either. While “Cloud Atlas” is full of unnecessary racial gaffes, my biggest concern is that the movie is just plain out lazy. One of the film’s directors, Andy Wachowski, recognized the criticisms of the film, but argued its overall purpose is the antithesis of this. “The intention is to talk about things that are beyond race. The character of this film is humanity, so if you look at our past work and consider what our intention might be, we ask that those people give us a chance and at least see the movie before they start casting judgment,” Wachowski said in an interview with Huffington Post. So, yellowface and other race-bending characters are okay as long as you’re conveying a sense of humanity in the name of art? This same idea of “humanity” can still be achieved even if you did accordingly cast actors in character roles of the same race. Plus, this would have a double positive effect, as it would give minority actors major media presence in a big budget film. In short: To not cast minority actors in non-white roles is just flat out lazy casting. Elsewhere at the box office, other Asian actors actually starred in roles that did not require them to play any other race than their own. The latest James Bond film “Skyfall” features French actress Bérénice Marlohe in the coveted Bond girl role — a title typically reserved for the love interest of the famous international spy. Marlohe is of Khmer-Chinese descent. Although “Skyfall” was her first introduction to American audiences, the critical and financial success of the film may mean that we could see Marlohe back on American silver screens in the future. Hey, great web page but there is a problem whereby on occassion I am sent back to the main page whenever I look at other topics within this website. Hi buddy, your blog’s type is simple and clean and i like it. Your blog articles are superb. Please keep them coming. Greets!! !